Good news for Gigi Hadid x Tommy Hilfiger fans, the collaboration is set to continue for a second season. On the heels of first collection, which debuted with a carnival at the Tommy Hilfiger AW16 show at New York Fashion Week, the brand has confirmed that Gigi’s appointment as global ambassador will continue into spring, and she will again co-design footwear, accessories and a fragrance. Just 48 hours after the September Tommy x Gigi show at New York Fashion Week, the brand reported a 900% increase in traffic to tommy.com, according to WWD, so the partnership with the beautiful Gigi has clearly proven to be popular. We can’t wait to see what round two has to offer. 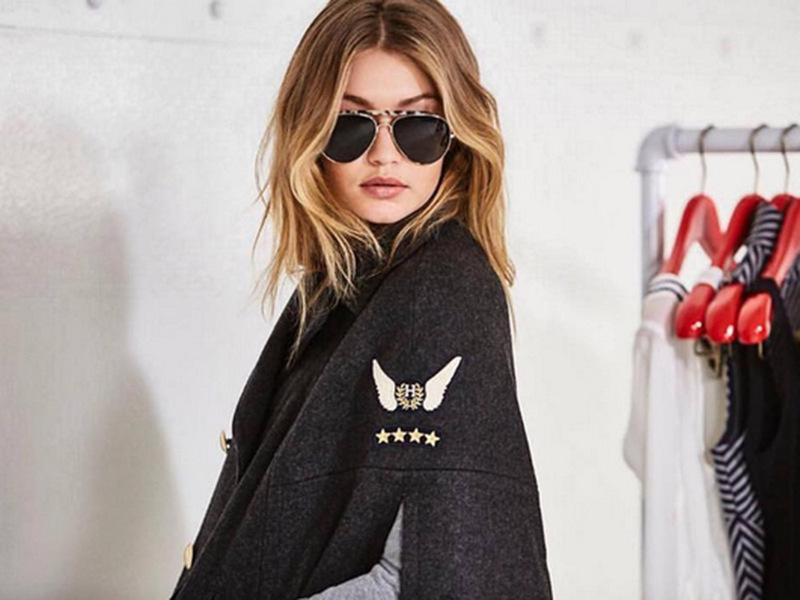 Gigi Hadid’s designer debut is coming – her Tommy x Gigi collection, created in collaboration with Tommy Hilfiger, is landing on 1st September and she’s already shared plenty of sneak previews with us on Instagram and Snapchat. So what do we know so far? It’s nautical and military inspired, just like Tommy’s mainline AW16 collection, but it’s got a supermodel twist, naturally. Back in January, Gigi shared pictures of red, white and blue badges and patches shaped like stars and military awards. Oooh. We’re thinking that these patches are going to have to be applied to something, so could Gigi be designing a range of bomber jackets or military coats too? A good bomber is a staple in her own off-duty wardrobe, so really it’s a likely bet, isn’t it? And now, there are more teasers to behold, as Tommy and Gigi have posted more pictures – including shots of the supermodel on set and in the design studio, as well as details like jeans embroidered with Gigi’s signature. The suspense is killing us but whatever the collection is set to look like, we have a feeling it’s going to be impressive. Speaking on the collab recently, Tommy Hilfiger said we could expect the designs to be inspired by Gigi’s ‘style… her sense…her social media presence as the top supermodel in the world today’ in an interview with The New York Times. Gigi had previously been set to star as the new global ambassador for the brand, but Hilfiger said it would be more exciting to have the model put her own line out.